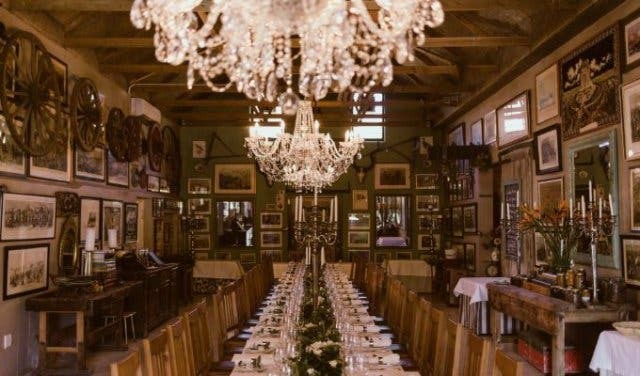 Eat a buffet breakfast on surfboard tables where you can sit with your feet dangling in the shallow pool below you, or have lunch in a historic barn on one of the first farms in Hout Bay. 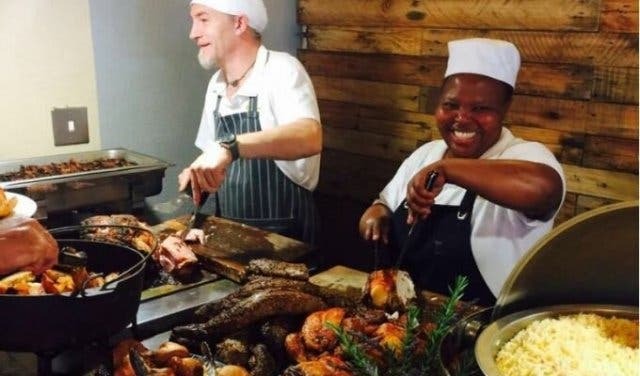 We’ve rounded up some incredible buffet options in and around Cape Town. Just 30 mins from town, overlooking Big Bay and Table Mountain, moyo Eden on the Bay is a relaxed locale for locals and visitors. 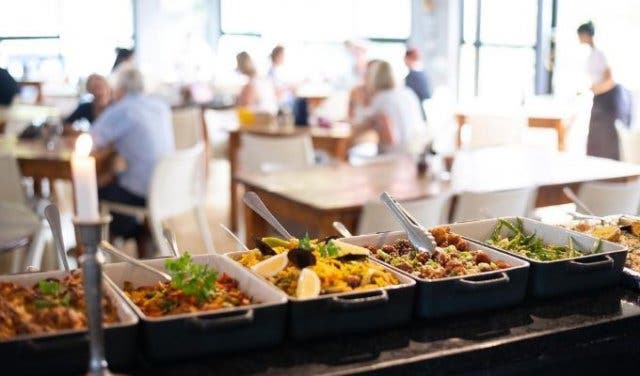 At the Saturday and Sunday mornings breakfast buffets there’s bottomless tea or coffee, eggs of all sorts, breakfast meats, pastries, fruit, cereals and more all in moyo’s vibrant urban African style. Sit at the surfboard tables where your feet dangle in the shallow pool below you. There are live DJs in the afternoon on Saturdays and Sundays at moyo Eden on the Bay. 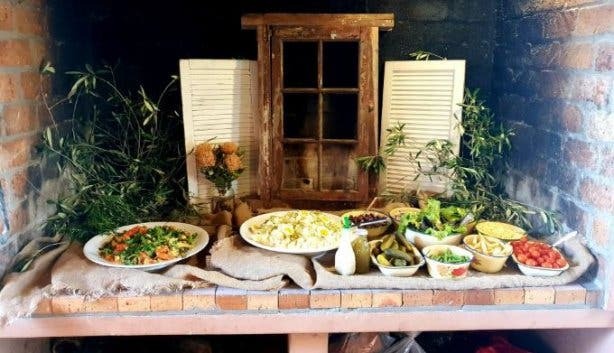 Mary-Ann’s Emporium & Eatery in Gordons Bay and in Mouille Point serves a plant-based lunch buffet. The menu, of natural, organic, whole food and gluten-free meals, changes daily. Try the rice noodles and Thai vegetable stir-fry, potato rösti with a curried creamy tomato and leek sauce and gluten-free pizza. The environment is first priority for the owners of Mary-Ann’s Emporium & Eatery. Oakhurst Barn restaurant, at a historic barn on one of the first farms in Hout Bay, cooks a three-course contemporary Cape country lunch buffet. It features home-style roasted meats and plenty of veggies and salads. Make yourself at home at the oversized dining table decked in white linen beneath head-high giant candelabras in the dining hall for a meal to be remembered. Enjoy a leisurely rotisserie and harvest table-style lunch overlooking the sweeping grounds of Leopard’s Leap vineyard. Curate your plate with a choice of four free-range meats (such as crispy pork belly, tender lamb neck and chicken). 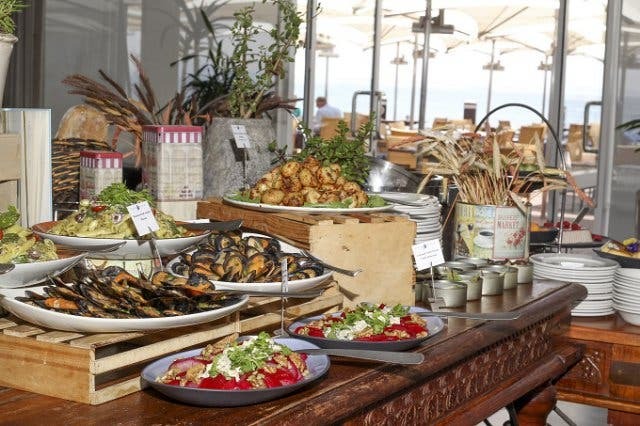 Top up with home-baked bread, fresh roasted veggies and seasonal salads sourced from the farm’s veg and herb garden. Dessert can be cake lollies, mini cheesecakes and baby meringues. Sip wine cocktails on the veranda while the kids tussle on the grand lawns and jungle gym at Leopard’s Leap. Price: Rotisserie meat is priced per portion but the sides and salads are per weight. Ian Gersowsky is the easy-going, sociable and helpful host at La Cuccina. They prepare everything from scratch using seasonal ingredients. This upmarket eatery offers a simple harvest table breakfast and a selection of hot and cold home-cooked lunches, which include vegetarian and vegan options like chickpea spinach curry, lentil butternut bobotie, Tuscan spinach mushroom pie, sweet potato mushroom nut curry and mushroom cauliflower rice skillet. In summer, your seat on the terrace places you as close to the sea as it is possible at Tobago's Restaurant and Terrace, where you get striking views of the marina and the Atlantic Ocean. Enjoy a diverse hot and cold lunch buffet with a variety of meats, Yorkshire pudding, salads, veggies, cheeses and desserts. 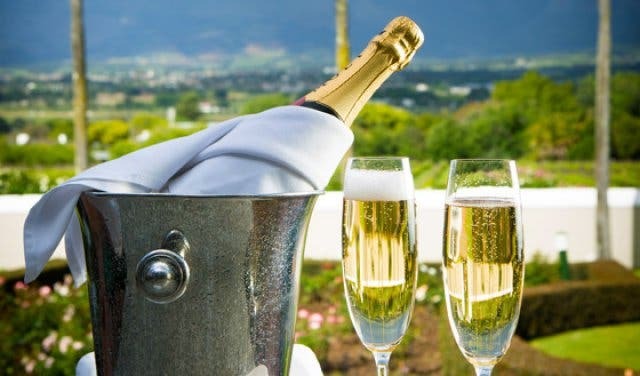 The jewel-coloured cocktails are refreshing and the wine list offers a superb collection of South Africa’s best. Read more about Tobago’s. 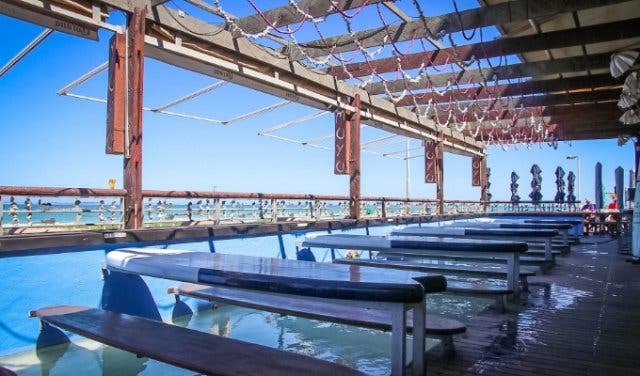 Suikerbossie Restaurant is flanked on the west by Llandudno beach, with Table Mountain forming the backdrop. Every Sunday you can tuck into banana and cream pancakes and more at the breakfast buffet, or stay for the Sunday roast buffet with all the trimmings. As an added bonus, there’s no corkage on wine or bubbly on a Sunday. Bookings are essential. 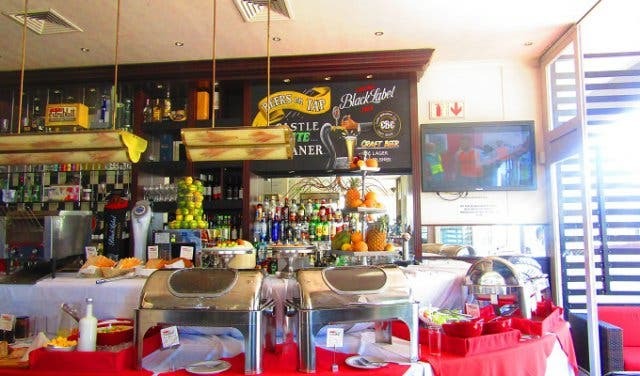 Price: Breakfast: R168, children u/12: R80; Sunday Roast: R349; children u/12 R120. 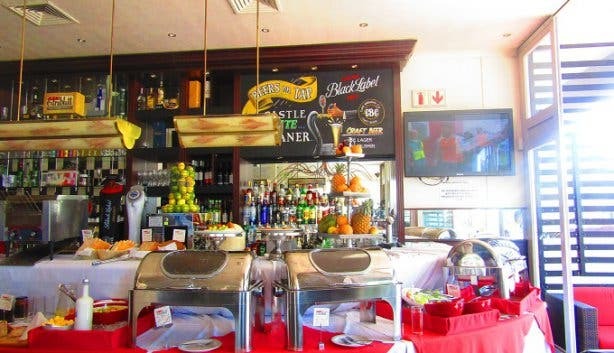 This Green Point eatery offers a cosmopolitan all-you-can-eat breakfast and brunch buffet every weekend. Expect anything and everything, from bacon and eggs, fresh fruit salad, yoghurt and muesli. At the omelette station, the chef greets you with a friendly smile and whips up your omelette perfectly with your selection of fillings. Read more about Cafe Extrablatt. 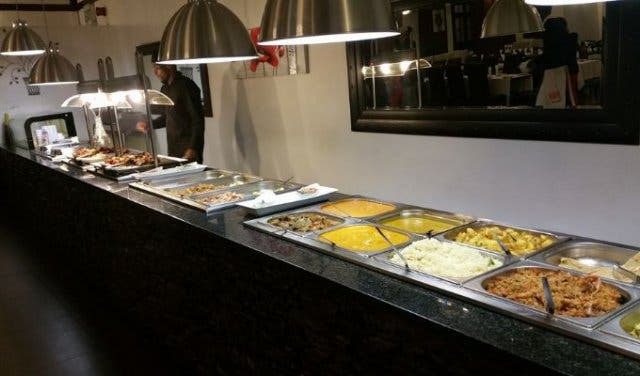 If you can’t get enough of butter chicken or dhal, the Village Buffet offers an all-you-can-eat strictly-halaal buffet with bottomless soft drinks and desserts. It’s so popular that there is a two-hour maximum sitting time. Also try sister-restaurant, Food Inn at 156 Long Street for on-the-go cafeteria-style dining. More about halaal restaurants in Cape Town. Thali Thali Game Lodge’s Sunday buffet is open to day visitors, where guests eat while gazing over the fynbos-covered landscape as the kids play in the splash pool or jungle gyms. 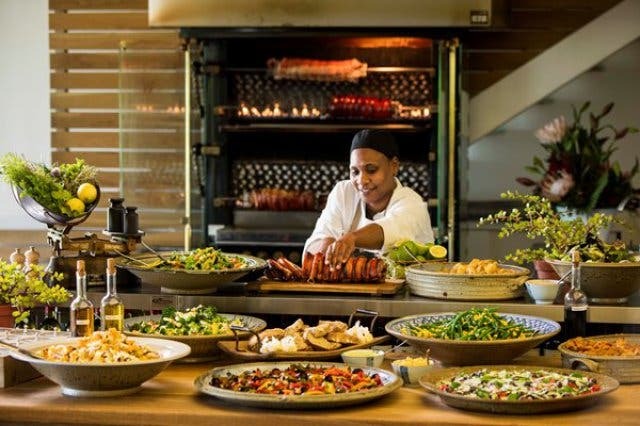 The freshly-baked bread, potjie, curries, traditional roast, venison pie, crunchy vegetables with cheese sauce, pumpkin fritters or sweet potatoes are followed by a lavish dessert selection. Thali Thali releases the ever-changing menu every Monday on their Facebook page. While you’re there consider booking a game drive at Thali Thali Lodge. Price: R180 for adults, half-price for children aged 5–12; kids u/5 eat for free. 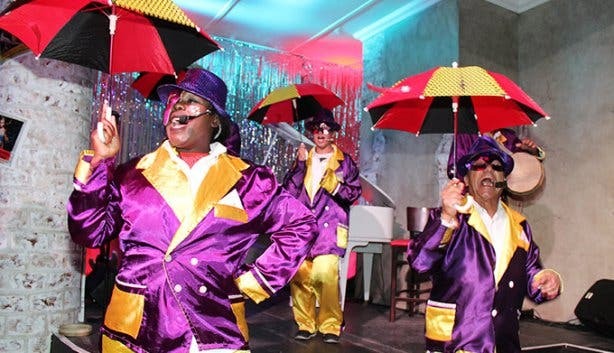 The Rockwell Dinner Theatre in De Waterkant melds a traditional four-course Cape Malay feast with Kaapse Stories, a musical set in District Six about Cape Town’s colourful history: From biryani to lemon butter fish for mains to Malay samoosas and snoek pate as sides and melktert and malva pudding for dessert. Your ticket includes the four-course meal, a welcome drink and the show. Read more about Kaapse Stories at the Rockwell. 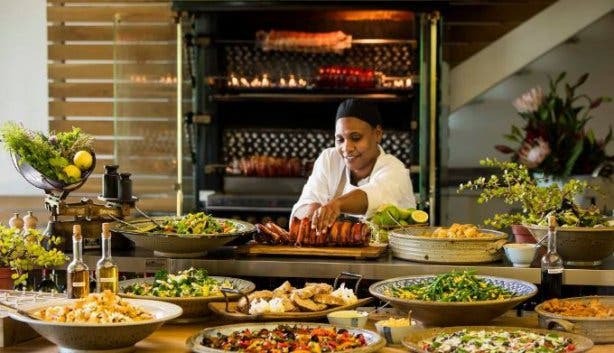 Bring friends to the breakfast buffet at Grande Roche, which overflows with cereals, fresh fruit, croissants, Danish pastries, cheeses, cold cuts, smoked salmon trout, bubbly and oysters, bacon, eggs to your preference and omelettes. 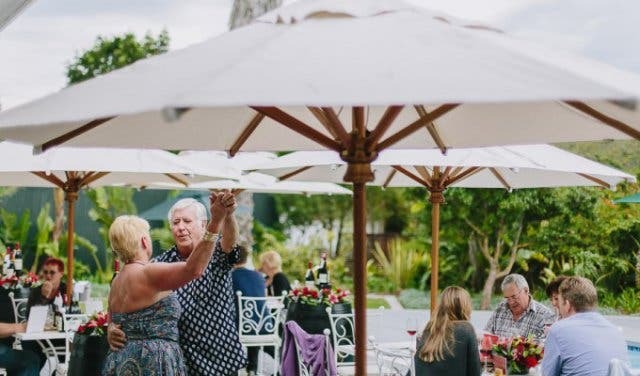 The Grande Roche Hotel is a restored 1717 Cape Dutch manor house and the on-site Bosman’s Restaurant is open to the general public. There’s art and golf in the area surrounding area Grande Roche Hotel. 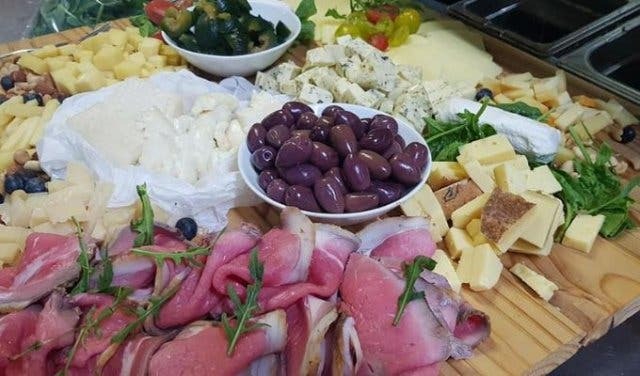 The Ristorante Club Italiano, based at Italian Club of Cape Town in the northern suburbs, has an Italian lunch buffet on the first Sunday of every month. You can expect a selection of cold meats, cheese, olives, breads, pastas, lamb on the spit, a pork loin overnight roast and roasted potatoes. Bookings are required. The atmosphere is warm and relaxed at this family-friendly restaurant. 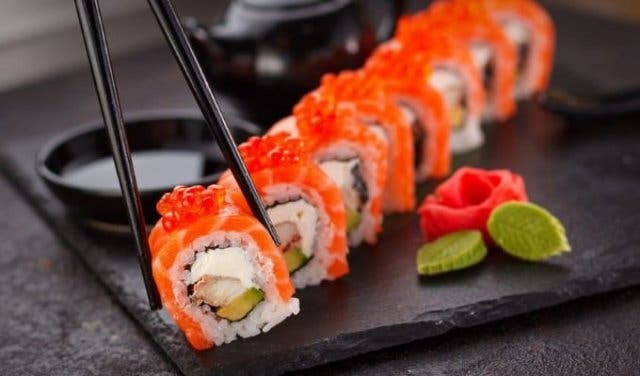 The branch of Asami’s in Tygervalley has the biggest sushi belt in South Africa, which takes eight minutes to rotate. It’s manned by four talented sushi chefs, constantly adding California rolls, Nigiri, inside-out rolls, maki, fashion sandwiches. All branches offer the all-you-can-eat buffet for you to fill up on sushi and Chinese food snack plates such as spring rolls, tempura prawns and dim sum. There are four branches of Asami’s sushi. There’s a lunch spread of roasts, pasta, salads and veggies on Wednesdays and Thursdays at Cartel Co-working Cafe in Green Point’s Old Foundry building. Order a craft beer or health juice and sit inside the cafe or catch some sun in the elegant outside area. The cafe is located inside the co-working offices of Inner City | Ideas Cartel. Mr and Mrs Badroodien started Lady Bee food emporium in 1982 to serve halaal breakfasts, lunches and dinners at competitive pricing. 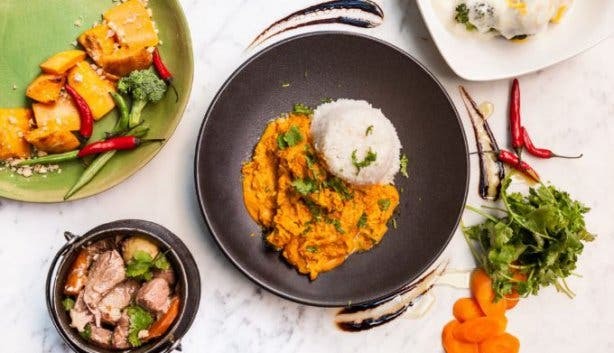 Curries, biryani, masala steak or roast tandoori chicken work on a weigh-and-pay system at this sit-down restaurant. PS. Have you ever tried a Naanwich? 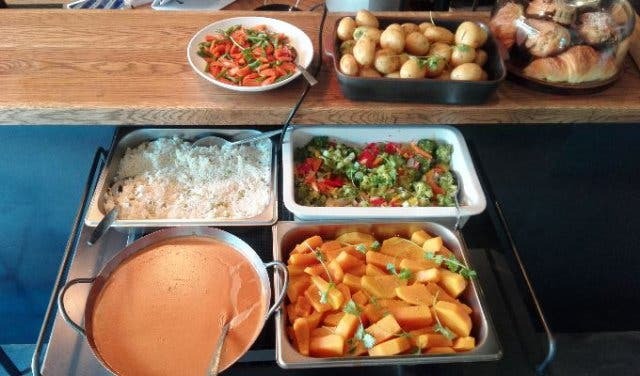 If we have missed out any of your favourite buffet options, please let us know the details. PLUS: Discover unique watersports and wine-tastings by the lake at Lakeside Lodge & Spa. Breakfast is the most important meal of the day so make it count with one of these breakfast spots. Healthy lunch? Check new concept warm bowls and salad bar TOSSD in Gardens. 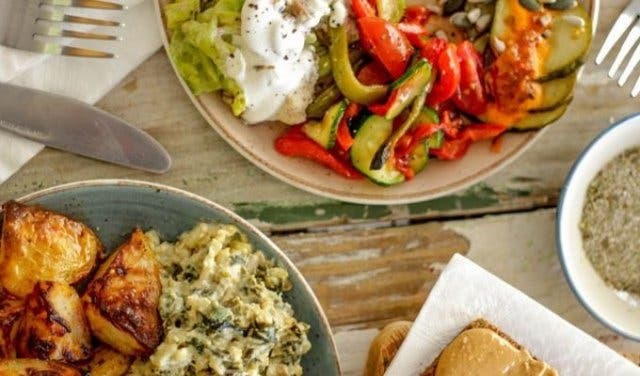 If money is tight, check out our selection of budget restaurants in Cape Town. Sushi lovers won’t go hungry with all the sushi specials. 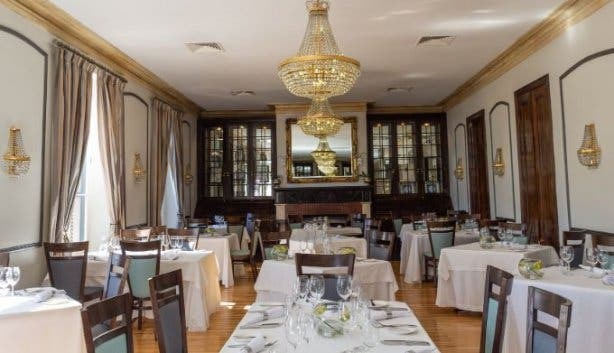 We are spoilt for choice with all the wonderful restaurants in Cape Town. 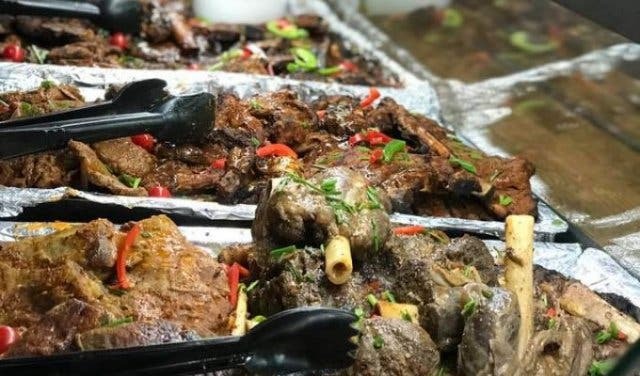 Observing food requirements is easy with these Halaal restaurants.